The birth of Imam Jawad (PBUH), the ninth Imam of Shias, is one of the most blessed and propitious events in Shia’s history, because before this event, according to the divine wisdom of god, Imam Reza (PBUH) had to wait a longer time for his child. 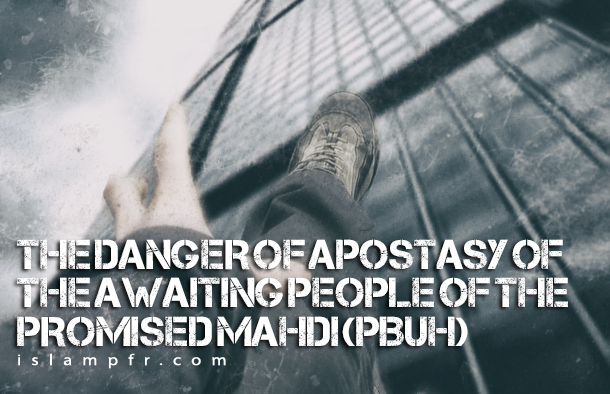 That’s why some of Ahl-al-Bayt’s enemies laid their hope on this issue and considered Imamate as a finished matter and on the other hand, the Shias were worried and were waiting for their next Imam. But the birth of Imam Jawad (PBUH) made Ahl-Al-Bayt’s enemies hopeless and their friends happy. The notable point is that one of the reasons of the prolongation of Imam Jawad’s birth (PBUH) is probably laid on this point that God had begun preparing Shias to wait for the infallible Imam since Imam Jawad’s period (PBUH). It means that waiting for meeting Imam happened in the process of Imam Reza’s (PBUH) childbearing, and after him, the next Imams prepared Shias for the days of absence of Imam of each era and waiting for his reappearance through planned programs. Therefore, during his short but blessed life, Imam Jawad (PBUH) has always brought up the issue of the reappearance of the last savior who is the third child of him, and has tried to explain Imam Mahdi’s (PBUH) character and the way of his reappearance. Shaykh Saduq, in his book Kamal ul-Din quotes from a person named Saqre-ibn-Dolaf and says: “I heard from Imam Jawad (PBUH) mentioning the names of the Imams after him and he became silent when he mentioned the name of Imam Hassan Askari (PBUH). I asked Imam: who is the Imam after him? Imam Jawad (PBUH) cried his eyes out. In another narration, Imam Jawad (PBUH) was asked: who is Imam after Imam Hassan Askari (PBUH)? He said: indeed, it will be his child who shall be standing and waiting based on the right. He was asked again: O, you the son of messenger of God (PBUH), why do you call him by this name? He said: because he arises when his name disappears and most of those who believe in his Imamate will apostatize. Then he asked: why is he called the awaiting person? In another narration, it is narrated that ‘Abd al-‘Azim al-Hasani says: “I wanted to ask Imam Jawad (PBUH) about the standing Imam; is he Mahdi (PBUH) or another one? 4-Referring to the Surah Ta-Ha, the verses after the verse 10: when he saw a fire, he said to his family: ‘stay here, for I can see a fire. Perhaps I can bring you a lighted torch or find at the fire guidance.